Start off your morning adventures with this sculpted Pooh mug! Pop artist Romero Britto captures the lovable bear in vivid color and mixed patterns. His innocent, joyful expression will brighten your days! 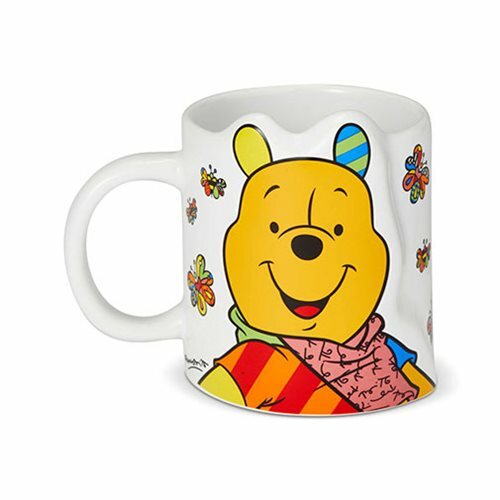 The Disney Winnie the Pooh Pooh Mug by Romero Britto measures about 4 1/2-inches long x 3 3/4-inches tall x 3 1/8-inches wide.